It’s no secret that Canada is home to some of the world’s brightest young minds, having graduates from post-secondary educational programs that are renowned the world over. This is especially true in the areas of science and technology, with the province of Ontario being home to two of the world’s top 50 engineering schools: University of Waterloo and University of Toronto. In fact, according to the Financial Post, Ontario’s combined 44 universities produce about 30,000 computer science and engineering graduates every year, which is an impressive figure given that California, a state with about three times the population of Ontario, produces only 21,000 science, technology, engineering and mathematics graduates per year. Ontario is not only churning out top engineering talent, but, as Katherine Barr, chair of the C100, recently noted, it’s also producing outstanding technical entrepreneurs. In 2013, the Province of Ontario launched the Youth Investment Accelerator Fund (Youth IAF) as a way to help give young entrepreneurs a leg up with launching and scaling their ventures. Serving as a vehicle through which to get great ideas into the marketplace, the Youth IAF invests up to $250,000 in innovative technology-based companies where the majority of founders are under the age of 30. As well as providing funding, the Youth IAF aims to provide companies with the sales, human resources and product supports required to successfully commercialize their technologies. This will be achieved by leveraging the success of the IAF’s portfolio to date, which includes 76 investee companies that have raised over $220 million in follow-on financing. In addition, the Youth IAF will work closely with existing startup accelerators, incubators and Regional Innovation Centres across the province to help eligible Youth IAF companies assemble strong management teams, bring products to market and further catalyze investment dollars. In fact, three of the Youth IAF’s first four investments—which include PUSH, Rubikloud, SoapBox and Greengage Mobile—were alumni of the MaRS, JOLT, Digital Media Zone and Creative Destruction Lab ecosystems. February 10 marked the inaugural Youth IAF kickoff event, held at the MaRS Centre in downtown Toronto. The event was buzzing with young entrepreneurs and investors, as well as with advisors and mentors from the startup community. Ilse Treurnicht, CEO of MaRS, kicked off the event, speaking about how programs like the Youth IAF will benefit Ontario’s most important asset: the youth. Next we heard from Barry Gekiere, managing director of MaRS IAF, who further explained the Youth IAF program and outlined the support that eligible companies will receive. Next, Rami Alhamad, CEO of PUSH, one of the fund’s first investments, spoke about his excitement about the Youth IAF program. During a live demonstration of his company’s wearable device for athletes, Rami shared how the program is helping turn PUSH’s vision into a reality. Closing off the event was Reza Moridi, Ontario’s minister of research and innovation, who took a moment to acknowledge the young people in the room and their ideas, their courage and their drive to make a difference. He explained that the combination of money, resources and expertise are what is needed to help youth companies succeed and he spoke about how the Youth IAF ties into Ontario’s Youth Jobs Strategy, which is a part of the province’s economic action plan. All in all, the event was a huge success and left everyone feeling proud about the caliber of young talent in the province who are making their marks on a global scale. While Ontario’s universities continue to develop top engineering and computer science talent, and startup accelerators and incubators continue to turn these youth into entrepreneurs, the Youth IAF will look to provide the necessary funding and support to bring young entrepreneurs’ products to market and to help develop even more successful Canadian startups. For more information on the Youth IAF’s investment criteria, visit the Youth IAF website. You can see more photos on the MRI Ontario Flickr page. 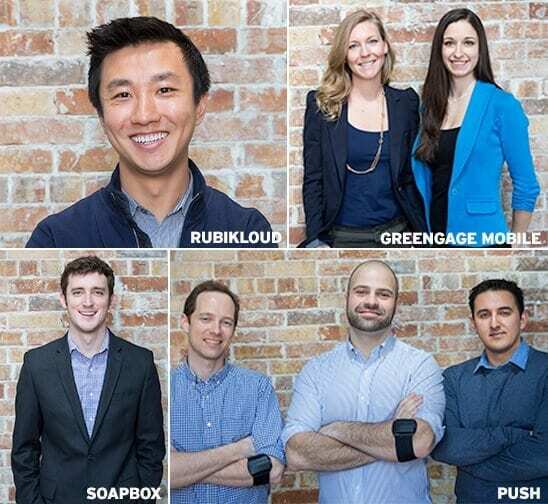 Rubikloud is a real-time big data company with a mission to turn data into revenue. 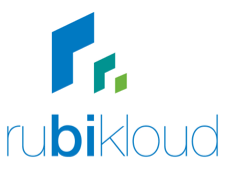 The Rubikloud platform processes massive amounts of e-commerce data and delivers insights into how revenue, conversions, traffic and application performance are impacting business metrics. PUSH is a sports-science technology startup that helps optimize training by instantly transmitting feedback about an athlete’s movements. PUSH allows customized workouts, performance monitoring and instant progress reviews. SoapBox is an innovation management tool that helps you maximize engagement through ideas. Employees add ideas, vote on and discuss those ideas, and get a response. Leaders are able to make better decisions, faster, while engaging with their companies. Greengage Mobile partners with large organizations to leverage the power of mobile technology and rewards to accelerate corporate wellness, community and environmental programs with employees.